Please join us for an evening with Jan Lorenc, founder of Lorenc + Yoo Design. The SEGD DCA Chapter invites all E&E attendees and local members to join us for a celebration! Terrell Place in downtown Washington, D.C.
Join your SEGD DCA friends for a perfect fall evening! Join SEGD DCA for a tour of the environmental graphics installation at The Yards Park and Diamond Teague Pier. Join us for a tour of the Washington Post headquarters on June 24, 2016 at 3 pm. Thank you to all the DC chapter members for attending our Tour of the National Museum of Health and Medicine. There was a great turnout, and everyone learned so much from our gracious education tour guides and the design team. 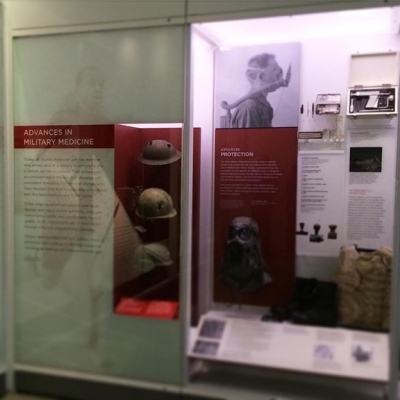 A great blog post on our National Museum of Health and Medicine Tour can be reached here (and it's just a great blog to check out). Thanks all, and see you at the next event. We will be announcing a Spring event soon! Join us for a night of drinks, celebration and cheer, and meet our new DC Chapter Chairs, Christopher and Liza. SEGD DCA welcomes you to a happy hour at Barcode DC.